Sign Up for My FREE Monthly E-Newsletter! 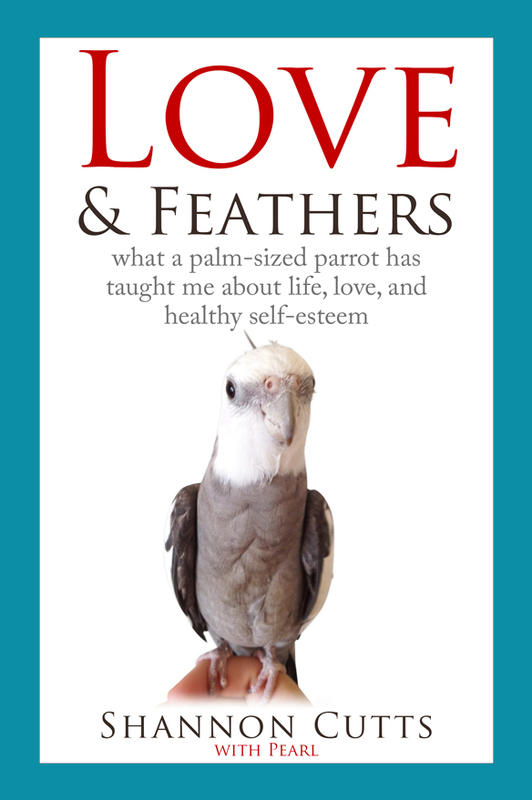 “Love & Feathers & Shells & Me” (formerly “Good News for Recovery + Life”) is my monthly free subscription-only e-newsletter. Each month I share personal stories from my recovery, courtesy of my own wonderful mentors (some of whom have feathers, fins, fur, and even red-dotted feet). Can I READ PAST ISSUES? Looking for a great inspirational read about mentoring (the kind with legs or the kind with wings, shells, paws or fins)? Or perhaps your reading tastes run more towards learning about animals with two legs (aka us)? Or maybe you just want to see what I do with all my free time? Find out by taking a peek at my reading list! I (heart) pets. Pets are wonderful. Pets can become our greatest mentors. Pets make even the suckiest days feel fantastic. Pets celebrate our strengths and ignore our weaknesses. Pets rock. Plus, pets are very cute and photogenic. If there is one thing guaranteed to a) lower blood pressure, b) elevate gratitude, c) make us smile, d) all of the above, it is the sight of our pets doing the happy dance just because we walked in the room. Yay! Take me to Love & Feathers & SHELLS! I have zero idea where I would be today if it weren’t for two things: pets and music. I have heard from a lot of you that you feel the exact same way. iTunes carries both of my albums from “the songwriting years” – I hope you will enjoy listening to them as much as I enjoyed writing and recording them. When I founded MentorCONNECT in 2009, my hope was to pay it forward by sharing with others the gifts of mentoring I had received. While we closed our doors in April 2017, our website remains active to offer links to other high quality free recovery support resources (including other organizations that offer mentoring for eating disorders recovery).